The Freemotion 72509 Incline Trainer comes with a standard console and is driven by a one of a kind, rear-wheel motor system. The system delivers quality performance with the most comfortable deck cushioning. By positioning the motor in the back the running surface has an incredibly spacious Stretch Deck of 22” x 60”, which also makes it easy to access motor during maintenance. This Flex Deck shock absorbing system dramatically reduces impact to back, knees and joints. 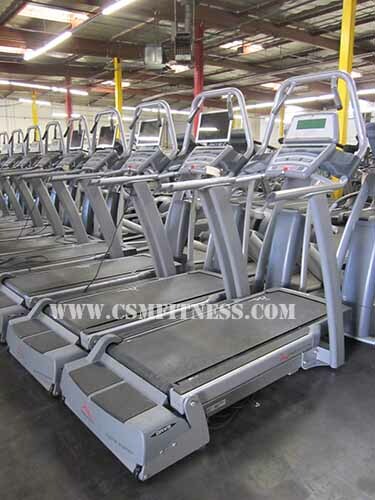 Another feature of the Incline Trainer is the incline range of -3% – 30%, it is the only commercial treadmill on the market that offers these unique incline and decline capabilities. Display: Time, Segment Time, Pace, Distance, Calories, Watts, Heart Rate, % Max, Speed, Inclines, Vertical Feet.